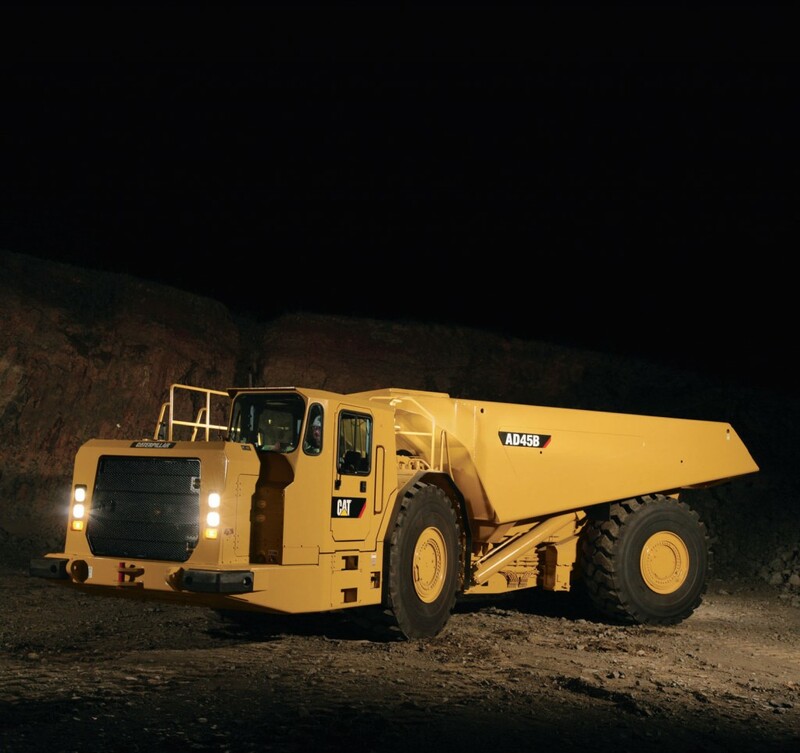 Caterpillar AD45B Articulated Mining Trucks - Amalgamated Mining, Inc. | Amalgamated Mining & Tunnelling Inc.
Caterpillar AD45B underground articulated mining trucks are designed for high production, low cost-per-ton hauling in underground mining applications. Rugged construction and simplified maintenance guarantee long life with low operating costs. Engineered for performance, designed for comfort, built to last. The Cat seven-speed planetary power shift transmission and mechanical power train is matched with the electronic unit injection C18 engine with ACERT™ technology to provide consistent power and efficiency for peak power train performance. Cat® truck frames are built to optimize torsional load displacement in high impact applications. High strength steels provide flexibility, durability and resistance to impact loads, even in cold climates.